While there remains plenty of debate over the origins of its name, there’s no argument that the Bloody Mary is a bloody fine cocktail. It’s savory, salty, spicy and packs a whole lot of flavor. Tomato juice, vodka, Worcestershire sauce and an endless assortment of spicing and garnishing options make the Bloody Mary as versatile as it is iconic. Still, everyone seems to have his or her idea of what makes a proper one. So how can you serve the ultimate Bloody Mary and keep everyone happy? 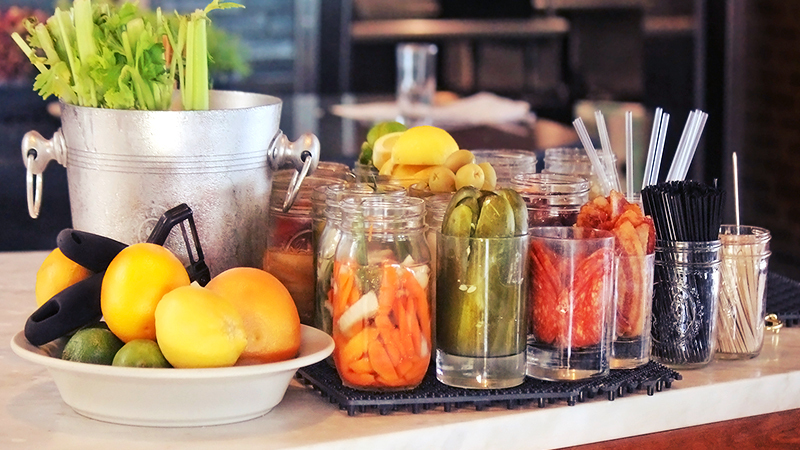 Set up a Bloody Mary bar and let your guests serve themselves. It’s a hands-on, fun activity, and everyone gets their own Bloody Mary variation made to his or her own exact standards. A bright, colorful setup area complete with Bloody Mary ingredients can make a stunning centerpiece and give guests a centralized area to gather and concoct. Maintaining and refilling in a single spot is a lot more manageable as well. Vodka is available in all kinds of infused flavors, even pepper. Any vodka is acceptable, so get what you like. Some people prefer gin, and even bourbon, in their Bloody Mary, so you might want to have a bottle of each on hand, just in case. 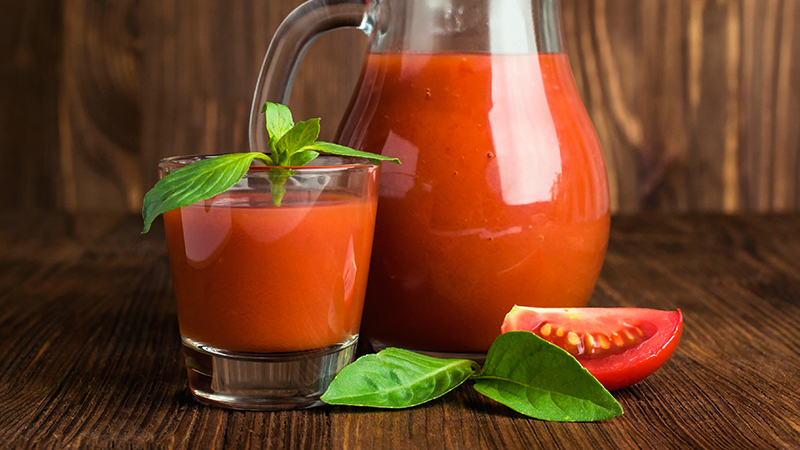 Tomato juice, vegetable juice or premade mix is the base of every Bloody Mary, hence the red color. Whatever you decide to stock your bar with, you should have two choices, a mild and a spicy, to give guests the base they prefer. Worcestershire sauce is a key ingredient, but don’t forget about the other savory Bloody Mary condiments that will kick up the flavor. Think about steak sauces, soy sauce, pickle juice, lime juice, sweet and sour sauce, cocktail sauce, as well as olive juice. 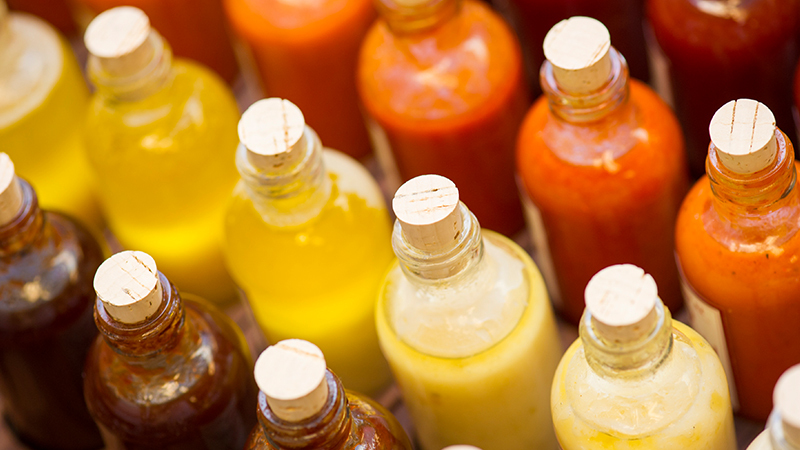 Be sure to add a bottle (or several kinds) of hot sauce, for guests who really like it extra spicy. Ingredients like garlic, chipotle, habaneros, green peppers and hot sauces add more complexity to Bloody Marys. 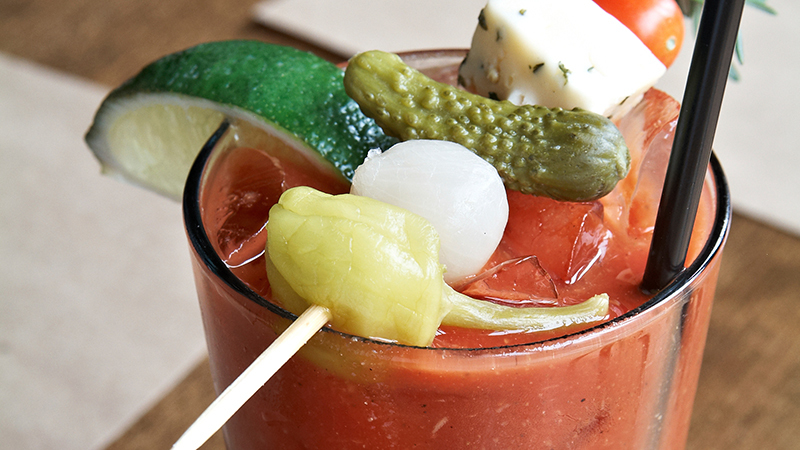 Spices play a large part of what makes the Bloody Mary a flavor powerhouse. 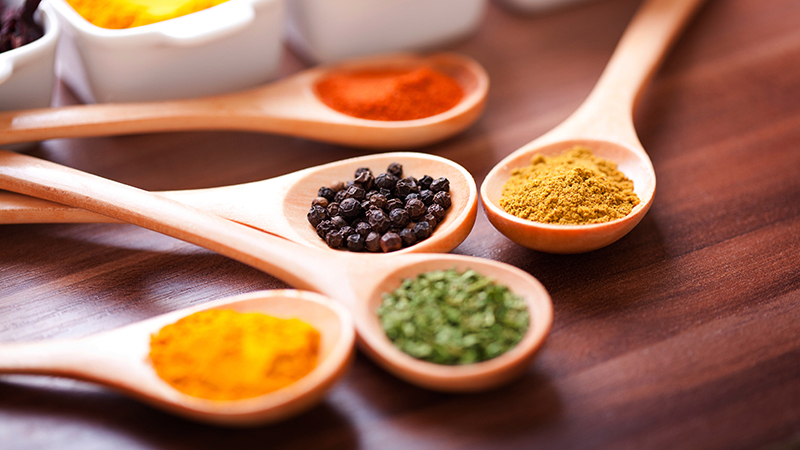 Salt and black pepper are essentials, but you should also include celery salt, garlic power, chili powder, paprika, and any other spices that pique your interest. Guests love to lavish all kinds of fruit and vegetables on their Mary. Get creative! Celery, lemons and limes are good standbys. You can also let guests be adventurous by offering exciting Bloody Mary ingredients they may never have thought of, like cocktail shrimp, green beans, baby corn, garlic, ginger, asparagus sticks, red pepper slices, jalapenos, olives, pickles, horseradish, spiced meat sticks, teriyaki beef jerky, and even bacon. Only your imagination and grocery budget can stop you! TIP: Your mix should be chilled, but not iced. Add ice only to individual drinks. TIP: A shaker with celery salt and a pepper grinder help make spicing easier and more precise. TIP: Place note cards with favorite recipe combinations on the mixing table for those who might need some inspiration and instructions. TIP: If you are using skewers for the garnishes, make sure they are long enough to reach the bottom of the glass. TIP: If your Bloody Mary is too thick, try adding lime juice, olive juice or even a splash of hoppy beer to thin it down.